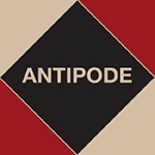 Forthcoming in Antipode 47(4) in September 2015, and available online now, Katie Wells’ “A Housing Crisis, a Failed Law, and a Property Conflict: The US Urban Speculation Tax” is a fine contribution to the journal’s growing collection of papers* on property rights, racial politics, housing markets and urban policy. In 1978 the local government in the District of Columbia approved a measure to tax up to 70% of the profits made on residential speculation. The tax was the first of its kind in the USA. But, it was quickly overturned and deemed by supporters and opponents a failure. Based on 10 months of archival research and interviews in Washington, DC, this paper examines how property rights became a narrative barrier that tax supporters could not overcome. By narrative barrier, I mean the set of rules that shaped how speculation was discussed. Tax supporters did not publicly convey a counter-hegemonic vision of how tenure security and economic wealth could be achieved for black residents through means other than private ownership and real estate investment. This paper contributes to understandings of housing markets, housing crises, and intersections between housing justice and property rights. This year Ta-nehesi Coates brought to a broad audience the argument that the subprime mortgage crisis in the USA cannot be understood without an examination of the two-century-long history of racist housing policies that gave rise to those loans. This paper grounds Coates’ argument by exploring in detail the sticky position that property ownership holds in discussions about urban housing crises and racial justice. By examining clashes among different social justice struggles, this paper also offers practical insights about the failing of socialist, leftist, and anti-neoliberal policies. For residents of San Francisco and Quito especially, these insights can have immediate implications. San Francisco residents are contending with the defeat of a speculation tax proposal on the ballot, and residents in Quito are considering a speculation tax. (David Harvey has reportedly consulted with residents about the latter proposal.) The profits made through capitalist property markets, the subject of this paper, remain at the forefront of conversations and campaigns about how to make urban life more just. Katie Wells is a postdoctoral researcher at Virginia Tech’s Metropolitan Institute. She completed her PhD in Geography at Syracuse University’s Maxwell School in 2013. Her research – which focuses on property conflict, especially disputes over housing, poverty, and urban planning in US cities – has been published in ACME, among other places. Katharine Rankin and Heather McLean’s Governing the Commercial Streets of the City: New Terrains of Disinvestment and Gentrification in Toronto’s Inner Suburbs. This entry was posted on 20 May 2015 by Antipode Editorial Office in Video Abstracts and tagged anti-speculation tax, District of Columbia, gentrification, housing markets, narrative barriers, neoliberalism, private ownership, property rights, racial politics, speculation tax, subprime mortgage crisis, urban commons, urban policy resilience, Washington DC.